CompuMove combines sales management, scheduling and dispatch, rating and form printing, storage and warehouse management, general ledger distribution and financial reporting (and much more) into a completely integrated and seamless moving system. Every CompuMove installation is a customized experience. The heart of a CompuMove setup is the flexible Job System that we use to make your custom-fitted installation, at a near off-the-shelf price. The ownership, management and technical staff at CompuMove consists of experienced professionals. That’s no surprise, since we’ve been doing nothing else since 1984 but work on this product. 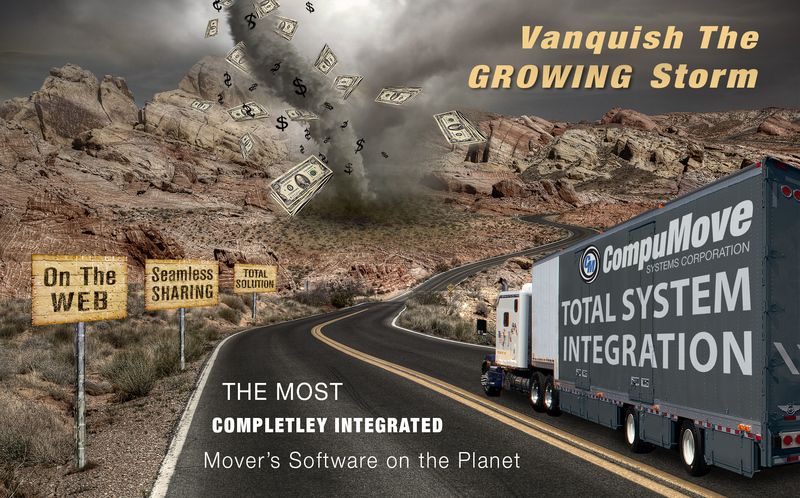 There are hundreds of moving companies running CompuMove right now. As we’ve done for so many others, we’ll do whatever it takes to make your CompuMove experience a success. A look at some of the basic functions of CompuMove as a job moves through its life cycle, from quote to booked job to accounted revenue and related expense. "We consider CompuMove to be a very valuable strategic partner." and easy people to deal with." train new employees and to have accurate accounting. It’s a realtime saver…and cost-saver." when you need them, and they are always cooperative."